In building the Firm, the goal was to select the best courtroom lawyers in the Dallas/Ft. Worth Area with a proven ability to win tough cases in front of a jury. Since 2002, when Milner Finn Price was founded, members of the firm have won over 60 jury trial acquittals and 19 Grand Jury No-Bills. Countless cases were dismissed, many on the day of the trial. These attorneys would then comprise a new litigation team under the guidance of the Firm’s patriarch, George Milner, who began his legal career in 1959 and has developed time tested practices for winning the tough cases in trial. The individual Attorneys in the Firm were hand-picked for their both knowledge and Courtroom successes. Most of the Attorneys at Milner Finn Price possess far more practical trial experience than litigators with thirty or forty years experience. 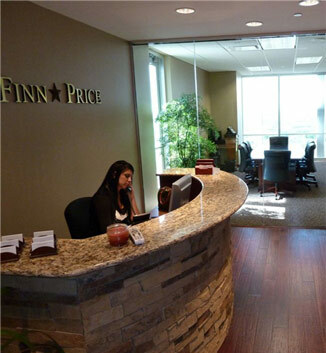 The Firm specifically sought Trial Lawyers with approximately ten years experience, and the majority of the Attorneys are in their mid-thirties to ensure that Milner Finn Price will continue to be the Firm of the future in Dallas for many years. The Firm’s practice is not limited to Texas. Attorneys in the Firm have successfully represented Clients nationwide; from Miami, Florida to Los Angeles, California to Brooklyn, New York. Milner Finn Price does not choose the path of least resistance and is known for a no holds barred philosophy in the courtroom. Please take a moment to Contact Us, or call Milner Finn Price at: (214) 871-1112 to request more information.